There’s been a lot of speculation in the last few weeks about the future for the Clariden Leu insurance-linked securities investment management business as the integration of the private banking arm into Credit Suisse neared. CS already had an ILS investment arm and there was some uncertainty as to how the two units could be merged successfully. The speculation can now end as the news has been announced this morning that the Clariden Leu insurance-linked investment business has been acquired by LGT Group. The asset management arm of LGT Group, LGT Capital Management will take over the ILS business of Clariden Leu which will see it expand and enhance its offering to its clients. LGT Capital Management are a long-term and significant investors in Clariden Leu’s insurance-linked funds and Clariden Leu see them as an ideal partner to ensure the continuity of their investment strategy in the interest of investors. The sale has to go through the usual legal and regulatory approval process which Clariden Leu hope will be completed in the second quarter of 2012. The purchase of the ILS business of Clariden Leu by LGT Capital Management means that LGT will obtain all of the insurance-linked funds, which includes the following fund structures: Clariden Leu (CH) Cat Bond Fund; Clariden Leu (Lie) Cat Bond Fund; Clariden Leu (Lux) – Cat Bond Fund; Clariden Leu (Gue) ILS Plus Fund with around CHF 2 bn assets. The acquisition also means that the Clariden Leu ILS specialist portfolio management team of ten people will be moving over to LGT, this includes some of the best known managers in the ILS sector as Clariden Leu have been building their team over time. For LGT Group this acquisition makes a lot of sense as it allows them to expand their investment offering to clients into a new, and uncorrelated asset class. This acquisition takes LGT Capital Managements assets under management to over CHF 22 billion. LGT Group, who have in total around CHF 88 billion under management, is a global investment house with resources which will help the Clariden Leu team grow their assets under management as well. “This acquisition allows us to further strengthen our market position as a provider of focused investment solutions in asset management. 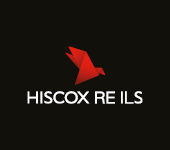 We are pleased to attain such an experienced team that has been very successful in this area over many years” explains H.S.H. Prince Max of Liechtenstein, CEO of LGT Group. “As a long-standing investor in the insurance-linked asset class, and especially within the Clariden Leu funds, we are convinced of the quality of the team, their consistent investment strategy and the disciplined investment style. With this step, we will enhance our core competencies and expand our product strategy”, explains Torsten de Santos, CEO of LGT Capital Management. For the Clariden Leu business and ILS team the acquisition offers them a chance to remain as a leading player in the ILS investment space, rather than being merged into the Credit Suisse ILS team, which is also beneficial for the market. Clariden Leu believe that the sale of the insurance-linked investment business to LGT Capital Management is the best possible solution for their investor base. They also note that the transaction ensures a continued diversity of managers in the insurance-linked asset class. “Over the past few years, the Insurance-Linked Investments team has successfully positioned this business for Clariden Leu and was able to strengthen it considerably. I wish the entire portfolio management team every success and all the best for the future”, says Hanspeter Kurzmeyer, CEO of Clariden Leu Ltd.
“We are convinced that the acquisition of this business by LGT Capital Management provides us with the opportunity to continue our successful investment strategy and to expand our business in this asset class”, emphasizes Michael Stahel, Head of Insurance-Linked Investments of Clariden Leu Ltd.